Anybody can be wealthy. You just have to apply yourself. It’s about how much effort you are prepared to put into making money that sets you apart from all of the storytellers of the world. 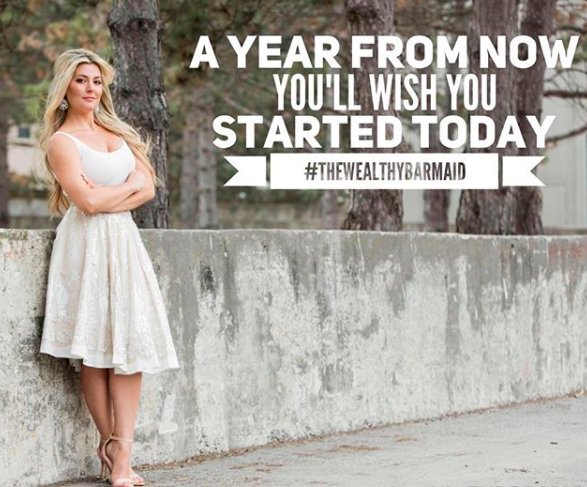 All of the mega wealthy people out there—excluding those who have inheritances and those born into wealthy families—we’re talking about the self-made millionaires of the world, all put in a lot of time and effort to get to where they ended up. We hear in headlines only about the sale price of a company or an Initial Public offering (IPO) that made someone rich. The articles don’t talk about the years spent working day and night coding and building websites and a customer base to get the creator to the point of selling the business or concept for millions. The work and the hours were relentless before the big payoff. Getting rich quick is a misguided/misunderstood myth; yes the riches may have accumulated overnight once it was finalized/sold/went public, but the months and/or years to get the concept or business to that point of success was far from an overnight success/get rich quick story. Most people are too lazy to be rich. I apologize if that truth is too blunt for some of you to handle, but it is a fact. My purpose is not to tell you that it is easy to make money and become wealthy. If that is what you are looking for, you have come to the wrong place. Now I don’t want to scare you either, into thinking that the only way to make millions is to slave away for the rest of your life. But the principle is simple if you are ready to commit to the decision of becoming wealthy and cut off all other possibilities. There is a step-by-step formula to building wealth that is scientifically proven and dates back hundreds of years. If you stick to this blueprint and focus, you, too, will become wealthy. You have to work hard to become rich enough not to have to work hard. First things first, we must get clear on what your definition of wealth is. If you do not have a clear definition of what wealth means to you, how will you know when you’ve made it? How will you measure your success? It’s important to track your progress and celebrate your milestones, remember the journey is just as important as the destination. You must set out specific goals both short term and long term in order to make sure you are on the right track. For example, a very good friend of mine’s definition of wealth is measured by how many days she can survive without physically working (or anyone in the household physically working) and still maintain their standard of living. She wants this number to be in the range of thirty years where their businesses and investments would cover all of her expenses from cash flow each month without working. You must set this objective, what wealth means to you, and then work your plan for how you intend to get there, how long you expect it to take, and what you will do once you have the money. The worst-case scenario would be for you to take what I am advising, invest in a couple of things, and sit back, stop trying, and years later think, Why am I not wealthy yet? Like everything worth having in life, you must have clear-set goals that you consistently and continuously work toward, measure, adjust, and keep pushing toward. Without specific goals, you will only be reacting to life, not living it on your own terms. Wealth is not the same as income. Wealth is what you accumulate, not spend. If you spend it all, you do not have wealth; you’re just living high. Let’s look at another example: Say a ball player makes $20 million per year. You might assume that this guy has amassed a lot of wealth because his income is so substantial. However, if this ball player spends $20M per year to live his high status, high consumption lifestyle, he could have zero wealth. Just because someone might earn a high income, if they spend it all, they will have nothing to show for it once that income stops for whatever reason. Nothing lasts forever. I would rather invest that money intelligently, invest in assets for residual income and also have more than one stream of income to weather all storms. All of these tiny decisions add up over the course of your life. Don’t fall prey to consuming frivolously in order to impress people (keeping up with the Joneses mentality) or to show off with symbols of status (expensive clothing, luxury foreign cars, big houses in affluent areas, etc.). To build wealth you need to live below your means and invest continuously. Spending too much money on a luxury vehicle, for example, when you could be saving and investing that extra $500 per month, or living above your means in a large, expensive home in a high-status neighborhood where you struggle to afford the cost of living are not smart decisions. Little decisions like these are what will keep you in debt or prevent you from experiencing the benefits of investing and having money work for you instead of the other way around. When you are making choices, ask yourself, “Do I feel good about my choice? Will this choice hurt me now or in the future financially? Is there a better option?” Remember, your choices define who you are, so do not take them lightly. We are the most indebted generation ever in history. Most people are continually paying for the past rather than investing in their future. There is, however, good debt to have. When I say get out of debt, of course I am referring to the bad debt—the student loans, credit card debt, loans and store credits, etc. If you have a mortgage, you should never refinance in order to consume more things that don’t serve you. You should only refinance in order to invest somewhere else, intelligently, and have that money work for you. Great wealth builders focus on both saving money and earning more. The only question remaining is whether or not you will do what it takes. 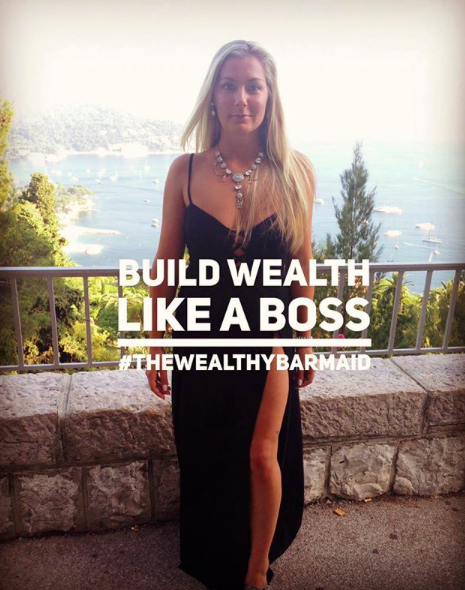 If I, a lowly barmaid, can amass significant wealth, then you can too no matter what your current job or situation is.